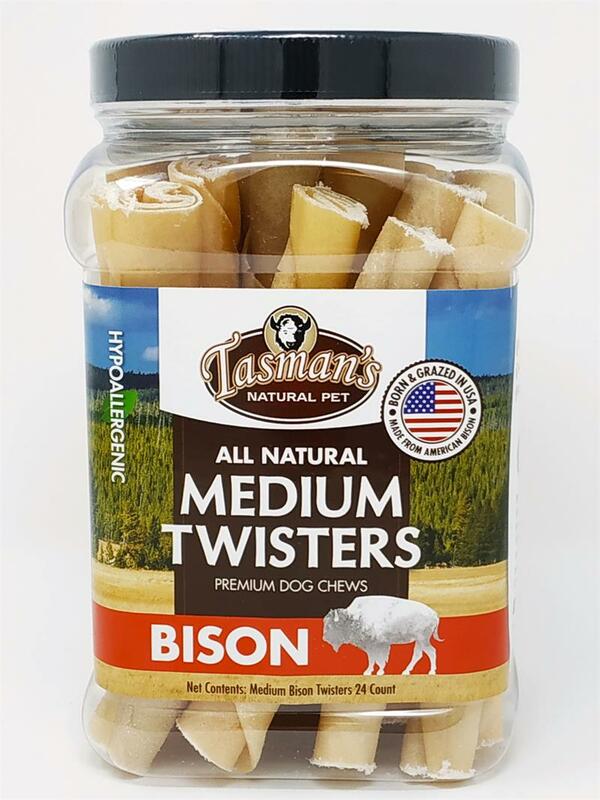 Jar of 24 Mediuml Buffalo Rawhide Twisters from Tasman's Natural Pet Co. 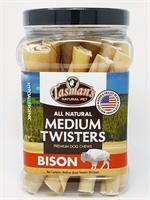 Medium (6-7") Buffalo Rawhide Twisters made from free-range US Bison. Now in 24 Count Bulk Pack Jar! No chemicals. No hormones. 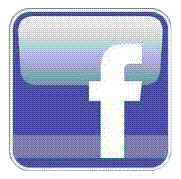 No antibiotics. Perfect for smaller dogs who love to chew! 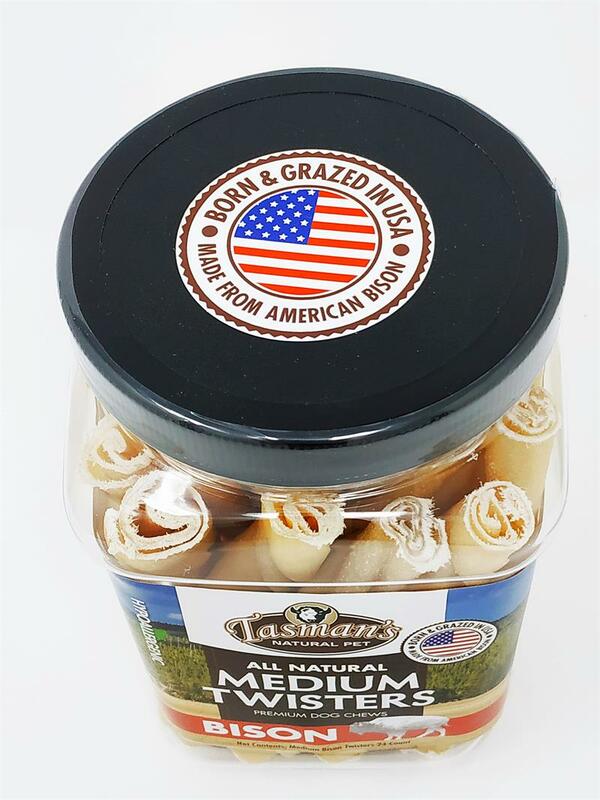 24 Twisters per sealed Jar. Each twister is approximately 6-7 inches long.